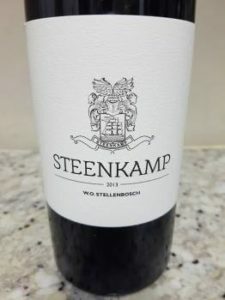 Groenland, owned by the Steenkamp family have released a new flagship Bordeaux-style red blend, the wine dedicated to head of the family Kosie Steenkamp, who has long been involved in the running of this Stellenbosch farm. It’s a blend of two-thirds Cabernet Sauvignon and one-third Merlot, the wine matured for 12 months in a combination of new and second-fill barrels. There’s a brooding quality to the nose – red and black fruit but also earth and some leafiness. The palate has an impressive density about it with concentrated fruit and firm tannins, while bright acidity lends balance and the finish is long and dry. Old school but winningly so. Price: R285 a bottle. I would like to order a bottle or two of your wine’s please… For my silly English friends who think they know about good wine. How would I go about doing so, and would you be able to organise a crate or two for Christmas?